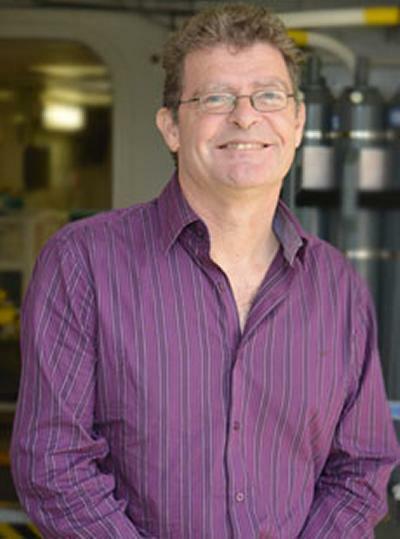 Professor Nicholas R Bates is Professor of Ocean Biogeochemistry within Ocean and Earth Science, National Oceanography Centre Southampton at the University of Southampton. I am a part-time professor in Ocean and Earth Science at the University of Southampton. I am based at the Bermuda Institute of Ocean Science (BIOS) in Bermuda where I am Senior Research Scientist and Associate Director of Research. My scientific research is focused on the ocean carbon cycle, marine biogeochemistry and ocean acidification. This also includes studies of the following: ocean biogeochemical cycling of carbon, nitrogen and dissolved organic matter; physical and biological processes influencing ocean-atmosphere gas exchange of carbon dioxide (CO2); coupling between ocean biogeochemical processes and climate variability; ocean carbon cycling in the Arctic Ocean and the surrounding polar shelf seas; and influence of ocean acidification on coral reefs and calcifying organisms. Please go to http://www.bios.edu for my current list of research projects. My university responsibilities include committee and service work and synergistic national and international advisory efforts for guiding future ocean biogeochemistry research. It also includes graduate student mentorship and committee service, as well as intensive course teaching. My university responsibilities are synergistic and complimentary to my research, and service contributions at BIOS. This is mostly focused on US ocean biogeochemistry research, but also includes participation with US federal agency scientific steering groups (SSG), IPCC contributions and more recently acting as the IOC representative on SSG for the 3rd International Symposium on the Effects of Climate Change on the Worlds Ocean to be held in Sao Paulo in 2015. Bates, N. R., Lomas, M. W., & Johnson, R. J. (2013). The Bermuda Atlantic Time-series Study (BATS) enters its twenty-fifth year of ocean observations in the North Atlantic that illustrate change in ocean carbon. Ocean Carbon and Biogeochemistry (OCB) News, 6(2), 7-11. Lomas, M. W., & Bates, N. R. (2011). 20-years of accomplishments at the Bermuda Atlantic Time-series Station (BATS). Meridian (BIOS Publication). Bates, N. R. (2007). An introduction to ocean acidification. Meridian (BIOS Publication). Andersson, A. J., Bates, N. R., & Mackenzie, F. T. (2007). Devil’s Hole as a natural laboratory. Meridian (BIOS Publication). Bates, N. R., & Peters, A. J. (2007). What about acid rain? Meridian (BIOS Publication). Bates, N. R. (2006). Arctic Ocean research. Meridian (BIOS Publication). Hood, R. R., Wiggert, J. D., Bates, N. R., & Seitzinger, S. (2006). Carbon cycling and biogeochemical variability in the Indian Ocean. CLIVAR Exchanges, (39(Vol. 11(4)), 24-28. Bates, N. R. (2001). Coral and Climate Change: Understanding the Link. Currents (BBSR publication). Bates, N. R., & Carlson, C. A. (2000). Linkages between ocean biogeochemistry at BATS and modes of climate variability (i.e., NAO, ENSO). U.S. JGOFS Newsletter, 10(3), 5-6. Carlson, C. A., Bates, N. R., Ducklow, H. W., & Hansell, D. A. (1999). Estimation of bacterial respiration and growth efficiency in the Ross Sea, Antarctica. Aquatic Microbial Ecology, 19(3), 229-244. Carlson, C. A., Bates, N. R., & Steinberg, D. K. (1999). Ten years of BATS data. Earth System Monitor, (June). Najjar, R., Feely, R., Takahashi, T., Tortell, P., Sabine, C. L., Langdon, C., ... Bishop, J. (1999). Working Group Report: Chemistry. Synthesis and Modelling Project, Ocean Biogeochemical Response to Climate Change, Durham, NH, 13-17 July 1998. JGOFS Planning Report, (22), 15-21. Carlson, C. A., Bates, N. R., & Steinberg, D. K. (1998). BATS time-series celebrates a decade of ocean research. U.S. JGOFS Newsletter, (November). McGillicuddy, D., Johnson, R. J., Siegel, D. A., & Bates, N. R. (1998). BATS validation activities document mesoscale biogeochemical variations in the vicinity of the time series. U.S. JGOFS Newsletter, (April). Bates, N. R., Knap, A. H., & Michaels, A. F. (1998). Carbon dioxide, climate change and hurricanes. Journal of the Forum for Environmental Law Science Engineering and Finance, (December). Carlson, C. A., Bates, N. R., & Steinberg, D. K. (1997). Time-series data sets: a valuable resource for synthesis and modeling phase of U.S. JGOFS. U.S. JGOFS Newsletter, (July). Bates, N. R. (1994). Discussion: Early Devonian marine isotopic signatures: brachiopods from the Upper Gaspé limestones, Gaspé Peninsula, Québec, Canada. Journal of Sedimentary Research, 64A(2), 405-407. Mathis, J. T., Grebmeier, J. M., Hansell, D. A., Hopcroft, R. R., Kirchman, D. L., Lee, S. H., ... Bates, N. R. (2014). Carbon biogeochemistry of the western Arctic: production, export, and ocean acidification. In J. M. Grebmeier, & W. Maslowski (Eds. ), The Pacific-Arctic Region: ecosystem status and trends in a rapidly changing environment (pp. 223-268). Dordrecht, NL: Springer. Cai, W. J., Bates, N. R., Guo, L., Anderson, L. G., Mathis, J., Wanninkhof, R., ... Semiletov, I. (2014). Carbon Fluxes across Boundaries in the Pacific Sector of the Arctic Ocean in a Changing Environment. In J. M. Grebmeier, & W. Maslowski (Eds. ), The Pacific Arctic Sector: Ecosystem Status and Trends in a rapidly changing environment (pp. 199-222). Dordrecht, NL: Springer. Tanhua, T., Bates, N. R., & Kortzinger, A. (2013). The Marine Carbon Cycle and Ocean Anthropogenic CO2 Inventories. In G. Siedler, S. Griffies, J. Gould, & J. Church (Eds. ), Ocean Circulation and Climate: A 21st Century Perspective. 2nd Ed (pp. 787-816). (International Geophysics; No. 103). Oxford, GB: Academic Press. Bates, N. R. (2011). Air-sea gas exchange, CO2 and DMS. In M. W. Lomas, N. R. Bates, K. N. Buck, & A. H. Knap (Eds. ), Oceanography of the Sargasso Sea: Overview of Scientific Studies (pp. 55,56-60). (Sargasso Sea Alliance Report Series; No. 6). Washington, US: Sargasso Sea Alliance. Bates, N. R. (2011). Atmospheric deposition and acid precipitation, NAO/ENSO influences on the subtropical gyre. In M. W. Lomas, N. R. Bates, K. N. Buck, & A. H. Knap (Eds. ), Oceanography of the Sargasso Sea: Overview of Scientific Studies (pp. 53/55-56/60). (Sargasso Sea Alliance Report Series; No. 6). Washington, US: Sargasso Sea Alliance. Bates, N. R. (2011). Calcium carbonate production. In M. W. Lomas, N. R. Bates, K. N. Buck, & A. H. Knap (Eds. ), Oceanography of the Sargasso Sea: Overview of Scientific Studies (pp. 47,48-52). (Sargasso Sea Alliance Report Series; No. 6). Washington, US: Sargasso Sea Alliance. Bates, N. R. (2011). Climate change and ocean acidification. In M. W. Lomas, N. R. Bates, K. N. Buck, & A. H. Knap (Eds. ), Oceanography of the Sargasso Sea: Overview of Scientific Studies (pp. 61-67). (Sargasso Sea Alliance Report Series; No. 6). Washington, US: Sargasso Sea Alliance. Bates, N. R. (2011). Climate variability, NAO/ENSO influences on the subtropical gyre. In M. W. Lomas, N. R. Bates, K. N. Buck, & A. H. Knap (Eds. ), Oceanography of the Sargasso Sea: Overview of Scientific Studies (pp. 53,56-60). (Sargasso Sea Alliance Report Series; No. 6). Washington, US: Sargasso Sea Alliance. Lomas, M. W., & Bates, N. R. (2011). Food web overview. In M. W. Lomas, N. R. Bates, K. N. Buck, & A. H. Knap (Eds. ), Oceanography of the Sargasso Sea: Overview of Scientific Studies (pp. 28,37-42). (Sargasso Sea Alliance Report Series; No. 6). Washington, US: Sargasso Sea Alliance. Bates, N. R., & Lomas, M. W. (2011). Marine biogeochemical cycles in the Sargasso Sea. In M. W. Lomas, N. R. Bates, K. N. Buck, & A. H. Knap (Eds. ), Oceanography of the Sargasso Sea: Overview of Scientific Studies (pp. 43/45-48/52). (Sargasso Sea Alliance Report Series; No. 6). Washington, US: Sargasso Sea Alliance. Lomas, M. W., Bates, N. R., Buck, K. N., & Knap, A. H. (2011). Microbial productivity of the Sargasso Sea and how it compares to elsewhere, and the role of the Sargasso Sea in carbon sequestration – better than carbon neutral? In M. W. Lomas, N. R. Bates, K. N. Buck, & A. H. Knap (Eds. ), Oceanography of the Sargasso Sea: Overview of Scientific Studies (Sargasso Sea Alliance Report Series; No. 6). Washington, US: Sargasso Sea Alliance. Lomas, M. W., & Bates, N. R. (2011). Phytoplankton research. In M. W. Lomas, N. R. Bates, K. N. Buck, & A. H. Knap (Eds. ), Oceanography of the Sargasso Sea: Overview of Scientific Studies (pp. 28/31-37/42). (Sargasso Sea Alliance Report Series; No. 6). Washington, US: Sargasso Sea Alliance. Bates, N. R. (2011). The global carbon cycle and observations in the Sargasso Sea. In M. W. Lomas, N. R. Bates, K. N. Buck, & A. H. Knap (Eds. ), Oceanography of the Sargasso Sea: Overview of Scientific Studies (pp. 45/47-48/52). (Sargasso Sea Alliance Report Series; No. 6). Washington, US: Sargasso Sea Alliance. Bates, N., & Yool, A. (2010). [Data providers and indicator reviewers]. In Environmental Protection Agency (Ed. ), Climate Change Indicators in the United States Washington, US: Environmental Protection Agency. Bates, N. R. (2009). Marine carbon cycle feedbacks. In M. Sommerkorn, & S. J. Hassol (Eds. ), Arctic Climate Feedbacks: Global Implications (pp. 54-68). Oslo, NO: WWF International Arctic Programme. Grebmeier, J. M., Bates, N. R., & Devol, A. (2008). Continental Margins of the Arctic Ocean and Bering Sea. In B. Hales, W-J. Cai, G. Mitchell, C. L. Sabine, & O. Schofield (Eds. ), North American Continental Margins: A Synthesis and Planning Workshop: Report of the North American Continental Margins Working Group for the U.S. Carbon Cycle Scientific Steering Group and Interagency Working Group (pp. 61-72). Washington, US: U.S. Carbon Cycle Science Program. Bindoff, N. L., et al, Bates, N. R., & Josey, S. A. (2007). Observations: oceanic climate change and sea level. In S. Solomon, D. Qin, M. Manning, Z. Chen, M. Marquis, K. B. Averyt, M. Tignor, ... H. L. Miller (Eds. ), Climate Change 2007: The Physical Science Basis: Contribution of Working Group I to the Fourth Assessment Report of the Intergovernmental Panel on Climate Change (pp. 385-433). Cambridge, UK: Cambridge University Press. Wanninkhof, R., Feely, R. A., Bates, N. R., Millero, F. J., Takahashi, T., & Cook, S. (2006). Documenting ocean carbon sources and sinks — surface water pCO2 measurements from ships. In J. M. Levy (Ed. ), The State of the Ocean and the Ocean Observing System for Climate, Annual Report, Fiscal Year 2005 (pp. 207-216). Washington, US: NOAA/Climate Program Office/Office of Climate Observation. Bates, N. R. (2005). Arctic Scientific Research at BBSR. In BBSR Annual Report 2005 St Georges, Bermuda, USA: Bermuda Biological Station For Research. Karl, D. M., Bates, N. R., Emerson, S., Harrison, P. J., Jeandel, C., Llinas, O., ... Chi, S. W. (2003). Temporal studies of biogeochemical processes in the world’s oceans during the JGOFS era. In M. J. R. Fasham (Ed. ), Ocean biogeochemistry: the role of the ocean carbon cycle in global change (pp. 239-265). Berlin, Germany: Springer Verlag. Bates, N. R. (2003). The History of Global Geosciences Research at BBSR. In BBSR Annual Report 2003 St Georges, Bermuda, USA: Bermuda Biological Station For Research. Bates, N. R. (2002). Monitoring BBSR Climate and Weather Station. In BBSR Annual Report 2002 St Georges, Bermuda, USA: Bermuda Biological Station For Research. Bates, N. R. (1997). Determination of total inorganic carbon (CT) by the coulometric procedure. In A. H. Knap, & et al (Eds. ), BATS Methods Manual, Version 4 (pp. 39-47). Woods Hole, MA, US: U.S. JGOFS Planning Office. Bates, N. R. (1997). Seasonal variability of the oceanic CO2 system and the air-sea flux of CO2 at the BATS site in the Sargasso Sea. In H. Ducklow, J. Marra, & C. Goyet (Eds. ), Second JGOFS North Atlantic Planning Report (pp. 7-10). (JGOFS Report; No. 20). Woods Hole, MA, US: U.S. JGOFS Planning Office. Bates, N. R. (1993). Determination of Total Inorganic Carbon (CT) by the Coulometric Procedure. In A. H. Knap, & et al (Eds. ), BATS Methods Manual, Version 3 (pp. 31-37). Woods Hole, MA, US: U.S. JGOFS Planning Office. Gruber, N., Bates, N. R., Keeling, C. D., & Le Quéré, C. (2001). Interannual variability in the extra-tropical ocean carbon cycle: The role of the North Atlantic. Paper presented at 6th International CO2 meeting, Japan. Bates, N. R. (2001). Regional testbeds: Interannual variability of the oceanic carbon cycle at the U.S. JGOFS Bermuda Atlantic Time-series Study (BATS) site. In Report of the WOCE/JGOFS Ocean Transport Workshop (pp. 43-46). (WOCE Report; No. 174/2001). Southampton, GB: WOCE International Project Office. Erickson, D., & Bates, N. R. (2001). Working Group Report: Short-lived CRC's. Paper presented at US. SOLAS Planning Workshop, United States. Takahashi, T., Wanninkhof, W. H., Feely, R. A., Weiss, R. F., Chipman, D. W., Bates, N. R., ... Sutherland, S. G. (1999). Net sea-air CO2 flux over the global oceans: An improved estimate based on the sea-air pCO2 difference. In Y. Nojiri (Ed. ), Proceedings of the 2nd International Symposium on CO2 in the Oceans (pp. 9-15). Tsukuba, JP: Center for Global Environmental Research, National Institute for Environmental Studies, Environmental Agency of Japan. Doney, S., Wallace, D. W. R., Ducklow, H., & Bates, N. R. (1996). The North Atlantic Carbon Cycle: New perspectives from JGOFS and WOCE. Paper presented at ICES Annual Science Conference, Iceland. Marchal, O., Monfray, P., & Bates, N. R. (1995). Seasonal cycle of CO2 and O2 in the euphotic zone at the U.S. JGOFS station in the Sargasso Sea. In Modelling of Marine Biogeochemical Cycles (pp. 27-35). Gif-sur-Yvette, FR: JGOFS-France. Wanninkhof, R., Bakker, D., Bates, N., Olsen, A., Steinhoff, T., & Sutton, A. (Accepted/In press). Incorporation of alternative sensors into the SOCAT database and adjustments to dataset quality control flags. (NOAA Report). s.n. Lomas, M. W., Bates, N. R., Buck, K. N., & Knap, A. H. (Eds.) (2011). Oceanography of the Sargasso Sea: Overview of Scientific Studies. (Sargasso Sea Alliance Report Series; No. 6). Washington, US: Sargasso Sea Alliance. Laffoley, D. DA., Roe, H. S. J., Angel, M. V., Ardron, J., Bates, N. R., Boyd, L. L., ... Vats, V. (2011). The protection and management of the Sargasso Sea: The golden floating rainforest of the Atlantic Ocean: Summary Science and Supporting Evidence Case. Bermuda, BM: Sargasso Sea Alliance. Tanhua, T., Olsen, A., Hoppema, M., Jutterström, S., Schirnick, C., van Heuven, S., ... Key, R. M. (2009). CARINA data Synthesis Project. (CDIAC Numeric Data Package; No. NDP-091). Carbon Dioxide Information Analysis Center. Doney, S. C., Hood, M., Alexiou, A., Bates, N. R., Bishop, J., Ducklow, J., ... Wanninkhof, R. (2002). A Global Ocean Carbon Observation System - A Background Report. (GOOS Report; No. 118). Paris, FR: Unesco. Bates, N. R., Knap, A. H., Bahr, F., Benson, J., Chipman, D. W., Howse, F., ... Takahashi, T. (1998). Carbon dioxide measurements obtained aboard the R/V Weatherbird II in the Sargasso Sea, June-December 1994. (BBSR CO2 Data Report; No. 98-1). Ferry Reach, Bermuda, US: Bermuda Biological Station For Research. Bates, N. R., Knap, A. H., Bahr, F., Benson, J., Chipman, D. W., Howse, F., ... Takahashi, T. (1998). Carbon dioxide measurements obtained from the R/V Weatherbird II in the Sargasso Sea, January-December 1995. (BBSR CO2 Data Report; No. 98-2). Ferry Reach, Bermuda, US: Bermuda Biological Station For Research. Bates, N. R., Knap, A. H., Bahr, F., Benson, J., Chipman, D. W., Howse, F., ... Takahashi, T. (1998). Carbon dioxide measurements obtained from the R/V Weatherbird II in the Sargasso Sea, January-December 1996. (BBSR CO2 Data Report; No. 98-3). Ferry Reach, Bermuda, US: Bermuda Biological Station For Research. Knap, A. H., Michaels, A. F., Steinberg, D. K., Bahr, F., Bates, N. R., Bell, S., ... Stone, S. (1997). BATS Methods Manual, Version 4. Woods Hole, MA, US: U.S. JGOFS Planning Office. Knap, A. H., Michaels, A. F., Hansell, D. A., Bahr, F., Bates, N. R., Becker, S., ... Waterhouse, T. (1997). U.S. JGOFS Bermuda Atlantic Time-series Study: Data Report for BATS 61-BATS 72, Oct. 1993-Sept. 1994. Woods Hole, MA, US: U.S. JGOFS Planning Office. Knap, A. H., Michaels, A. F., Dow, R. L., Johnson, R. J., Gundersen, K., Close, A., ... Little, B. (1995). U.S. JGOFS Bermuda Atlantic Time-series Study: Data Report for BATS 49-BATS 60, Oct. 1992-Sept. 1993. Woods Hole, MA, US: U.S. JGOFS Planning Office. Knap, A. H., Michaels, A. F., Dow, R. L., Johnson, R. J., Gundersen, K., Sorenson, J. C., ... Waterhouse, T. (1994). U.S. JGOFS Bermuda Atlantic Time-series Study: Data Report for BATS 37-BATS 48, Oct. 1991-Sept. 1992. Woods Hole, MA, US: U.S. JGOFS Planning Office. Knap, A. H., Michaels, A. F., Dow, R. L., Johnson, R. J., Gundersen, K., Sorenson, J. C., ... Waterhouse, T. (1993). BATS Methods Manual. Woods Hole, MA, US: U.S. JGOFS Planning Office. Galloway, J. N., Michaels, A. F., Prospero, J., Arimoto, R., Bates, N. R., Church, T., ... Sholkovitz, E. (1993). Chemical exchanges and feedbacks across the sea surface (CEFSS). Report from the AEROCE-BATS Workshop, January 1993, Bermuda. St Georges, US: Bermuda Biological Station For Research. Bates, N. R., & Knap, A. H. (1993). Total CO2 measurements in the Sargasso Sea at the Bermuda Atlantic Time-Series (BATS) Station, May 1991 To May 1993. Final technical report to NOAA. St Georges, Bermuda, US: Bermuda Biological Station For Research. Knap, A. H., Michaels, A. F., Dow, R. L., Johnson, R. J., Gundersen, K., Sorenson, J. C., ... Quinby, H. (1993). U.S. JGOFS Bermuda Atlantic Time-series Study: BATS 25-BATS 36, Oct, 1990-Sep. 1991. Woods Hole, MA, US: U.S. JGOFS Planning Office. Bates, N. R. (1992). Earth materials and processes at the Earth’s surface. Victoria, CA: University of Victoria, School of Earth and Ocean Sciences. Bates, N. R. (1991). The Earth’s internal processes and historical geology. Victoria, CA: University of Victoria Press. Bates, N. R. (1990). Earth Materials and Processes at the Earth’s Surface. Victoria, CA: University of Victoria Press. I will be teaching a three week intensive graduate course on the ocean carbon cycle and ocean biogeochemistry in early 2015.